The Villanova School of Business (VSB) at Villanova University announced this week that Jeremy Kees, Ph.D., a professor of Marketing at Villanova, has been named the Richard J. and Barbara Naclerio Endowed Chair in Business, effective August 11, 2017. 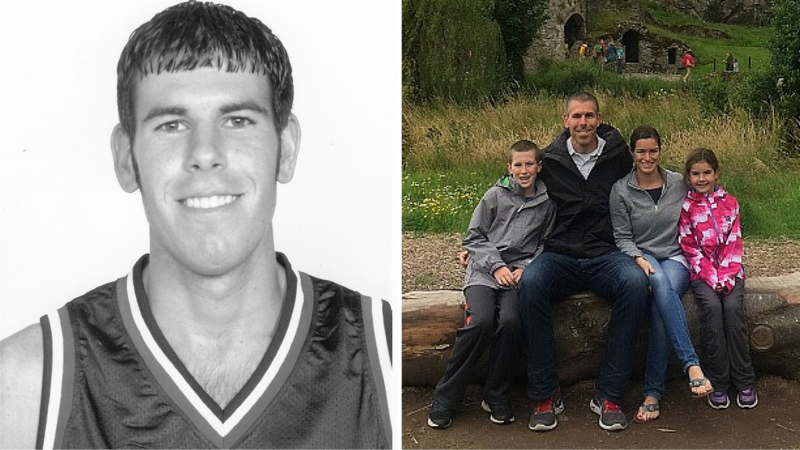 Kees, a 2000 Belmont University graduate and former men’s basketball player, did an interview last year with Belmont Athletics noting the impact of Belmont on his life and career. Dr. Kees is an award-winning teacher at VSB where he teaches Strategic Marketing Management, Research Driven Decision Making and Competitive Effectiveness. He has authored more than 30 publications in some of the most prestigious business academic journals including the Journal for Marketing Research, Journal of Advertising and the Journal of Public Policy & Marketing. He has been recognized as one of “The 40 Most Outstanding Business School Profs Under 40 In The World” for his excellence in teaching and research. In addition to his role as professor, Kees is the faculty director for the Center for Marketing and Consumer Insights. He also serves as the Faculty Athletics Representative at Villanova, where he assists with academic support and compliance for Villanova’s 500 student-athletes across 24 varsity sports programs. In addition to his academic appointments, Dr. Kees serves as a member of the FDA Risk Communication Advisory Committee, where he advises various government agencies about risk communication strategy and policy, and is as an ongoing Special Government Employee, a role in which he provides direction on various government initiatives. He is also Associate Editor for the Journal of Advertising and serves on the Editorial Review Board for a number of other business journals. Dr. Kees is a highly sought after consultant for his expertise in marketing research, advertising and public policy.